This program is designed for students who wish to take electives taught mainly in English in Business, Humanities and Social Sciences together with a course in Spanish language. Spanish language is not required but AIFS strongly recommends that students take Spanish so that they can benefit fully from the opportunity to study in Spain and access and integrate into Spanish culture both inside and outside UAB. Students taking Spanish take a language placement test online prior to their arrival in Barcelona and are placed into the appropriate level of Spanish based on the results of this test. Spanish is taught on both the Sant Pau and Eixample campuses. Spanish is available at all levels from Beginner to Bilingual. Students who test into the Beginner, High Beginner, Intermediate or High Intermediate level can take either a 45-hour Spanish course for a recommended 3 credits or a 90-hour Spanish course for a recommended 6 credits. Students who test into the Advanced level or above take a 90-hour Spanish course for 6 credits. 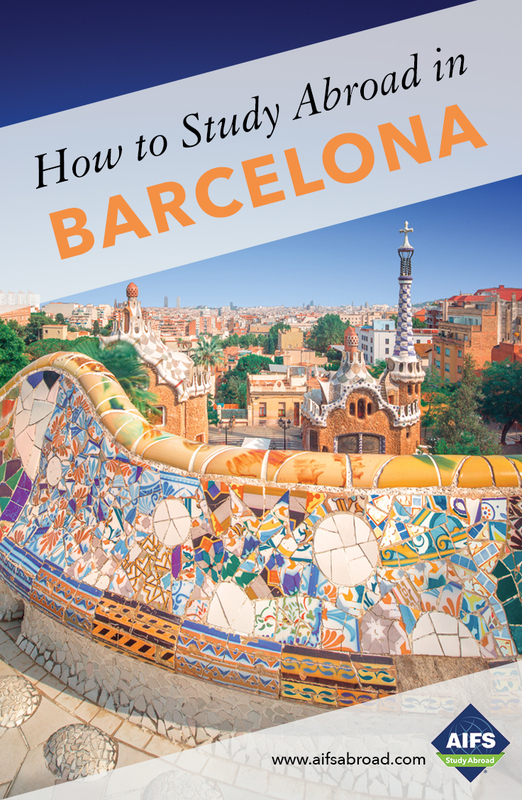 Students taking Spanish are advised to gain pre-approval from their home institution for several different levels of Spanish in order to ensure that they receive credit for the course that they test into in Barcelona. Elective courses meet for 45 contact hours and are recommended for 3 credits. Most elective courses are taught in English. Students can take up to 15 semester credits. Please note that the Universitat Autònoma de Barcelona issues ECTS (European Credit Transfer and Accumulation System) credits. The number of class hours and ECTS credits will be shown on the transcript to allow each student’s home institution the ultimate decision in the awarding of U.S. credit. Recommended U.S. semester credits shown in parentheses next to each course on the course description pages are based on 15 classroom hours per semester credit and are not a conversion of ECTS credits. Students should consult with their university advisors prior to participating in the program to have course credit pre-approved and ensure that they are taking the appropriate amount of credits. The Universitat Autònoma de Barcelona (UAB) was founded in 1968. It is a relatively young university; however, in its short history it has moved forward at a rapid pace and now has a student population of over 35,000. The University is made up of three campuses: the Bellaterra campus, the Sant Pau Campus and the Eixample Campus. Students on the Liberal Arts and Business program will take courses at the Sant Pau Campus or the Eixample Campus. On both campuses, small teaching groups are the norm and all professors are native Spaniards. The connection between campuses is easy and can be made in just 18 minutes. The beautiful historical pavilions of the Sant Pau campus provide the backdrop to the historic UAB Casa Convalescència building, which was part of the “Hospital de la Santa Creu i Sant Pau” and is now a UNESCO World Heritage building. The Eixample Campus is located in the heart of Barcelona, close to Passeig de Gracia and Plaza Catalunya.